At Fischer Family Dentistry, we focus on preventative care. Good oral health starts with healthy teeth and gums. We help families create and maintain a dental routine that works for them. We know how important it is to start young. This will help you avoid problems later in life. We also work with adults to learn how to better care for themselves. 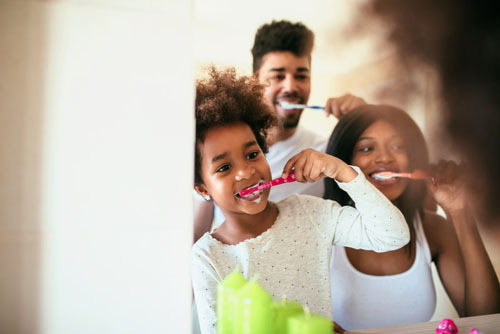 With regular cleanings, and good habits, everyone can improve their oral health. 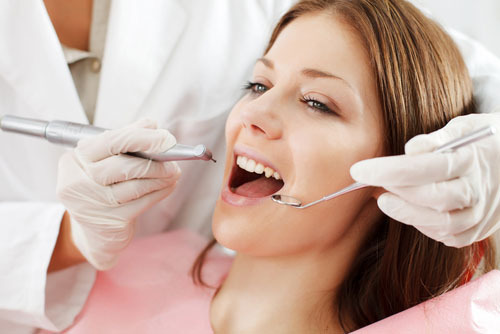 Our doctors and hygienists are trained to help prevent and detect oral cancer. Detection requires special tools, and knowledge. It’s not something that can be done at home. We use cutting edge technology to screen for oral cancer. This is an essential part of preventative care. We use the VELscope system to find any oral abnormalities. Our doctors have received special training on this technique. This pain free exam uses a blue light to “excite” molecules in your mucosal tissue. This causes those molecules to emit their own light, in different shades. Using a filter, we then get a better view of the structure of the tissue. This makes it easy to detect potentially cancerous areas. The American Dental Association recommends two yearly cleanings for optimal dental health. We’ll remove tartar and plaque, which helps to prevent periodontal disease. We’ll also monitor your teeth and gums for any changes, or problems. The earlier a problem is addressed, the less expensive and painful it will be to fix. We’ll teach you and your family how to care for your teeth and gums at home. And we’ll make sure your visit is pleasant, and comfortable.